The Roviana people — once well-known headhunters who raided neighboring islands — were the first to convert to Christianity when missionaries came to the region in 1902. The church grew and spread from the roviana area as believers started new church fellowships in other regions. Today, the headquarters of one major church group in the Solomon Islands is located in Munda, among this Roviana community. 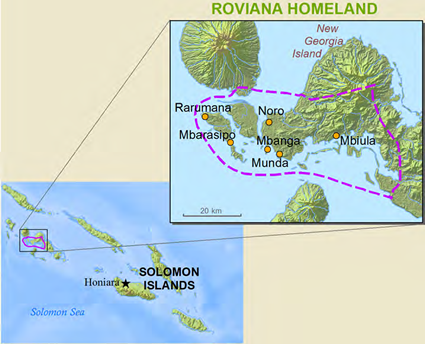 A majority of the Roviana speakers in the Solomon Islands' Western Province consider themselves Christian. Major church groups here eagerly desire to complete their final translation steps for the already drafted Old Testament. The translation team will finish the remaining steps and are confident it will lay a good foundation for their New Testament, which has been sold out for many years. Completion of this project in three years will also provide a source translation to adapt for a number of other closely related languages in the region. Roviana people love to sing; they have a large hymn book that contains 497 songs and choruses. Fishing is the primary industry in this Roviana lagoon region on New Georgia Island and several smaller offshore islands in the Solomon Islands. 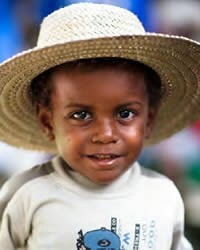 Traditional villages here produce income from coconut plantations, gardening, and fishing. An increasing number of families have one or more women employed at the tuna cannery on the western end of the island. While some women work at primary and secondary schools, the hospital, and in government offices in the city of Munda, a few have jobs in the tourist industry at nearby resorts or as local transportation drivers. Some families also sell garden produce, craft items and carvings at area markets. View Roviana in all countries. Location in Country: Western province: north central New Georgia, Roviana and Vonavona lagoons.